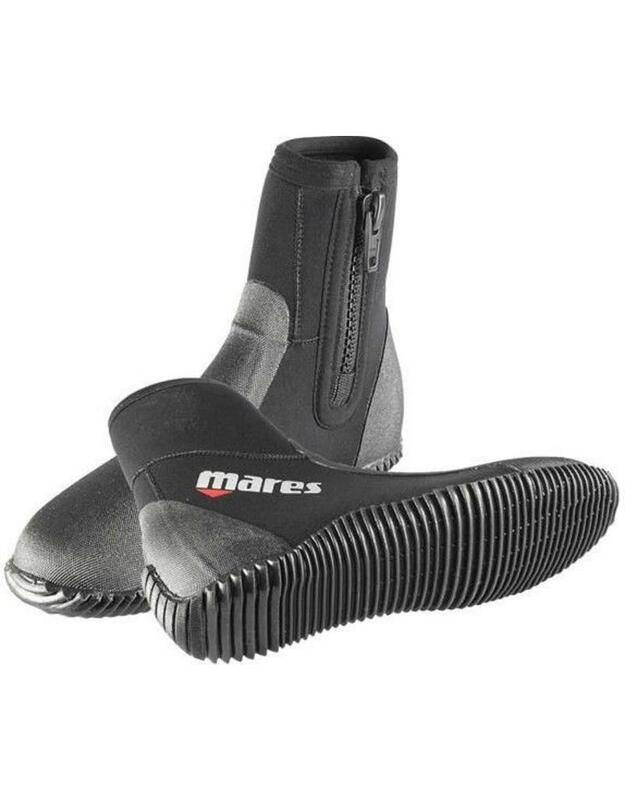 MARES Dive boot classic NG 5 MM The price shown is the rent per day! The Mares classic NG boot are made using 5mm thick neoprene and offer a perfect balance between weight, thermal and abrasion protection. The size and shape of the boot have been designed to make sure the boots are get on and off but also ensure that they provide a snug and comfort fit. An anti-corrosive zip makes donning and doffing easier whilst the internal baffle prevents water ingress through the zip.